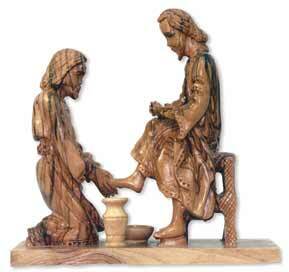 Jesus simply asks that we exemplify Him in all things, especially service. Exemplify Christ is our theme for this year. It is only fitting that Christ would guide us to this theme in January in the simple course of our study of the scriptures together. But many ask, how do we know that we are growing in Christ? How do we know we are changing for His glory? The answer is very simple, ask yourself is you are changing for His glory, becoming more like Him. On page 189 of my book I explain how one can have confidence in being Christlike. Understand that exemplifying Christ is a joy. As Jesus before us, we are persecuted, but we are to be joyful. (Matt 5:10) As Jesus before us, we are vilified, but we are to be blessed. (Matt 5:11) As Jesus before us, we are abused, but we are to be content. When our contentment in life grows, no matter the adversity, we are more exemplifying Christ. When our contentment for persecution grows, we are more exemplifying Christ. When we are more content being in church, living and remaining in God’s house, being around His people, we are more exemplifying Christ. When we exhibit greater levels of forgiveness, love, mercy and faith, we more exemplify Christ. As we grow in grace, grow in His forgiving light and grow in His loving and generous attitude toward others we better exemplify Christ. That, Christian, is our challenge. For an interview on my book click here. One of God’s greatest gifts is a healthy baby. On a day, some 2000 years ago there was just such a gift. Not only was this a blessing to mother and father, this was a first gift of Christmas, a greatest gift of love, an everlasting gift to all of mankind. Two people, Joseph and Mary were given a Son. This was not just some child born to a simple set of beggarly parents. No this was a Son like no other. This Son would lead a pure life untarnished by sin. God’s greatest gift, therefore, is not just a child, but the child. 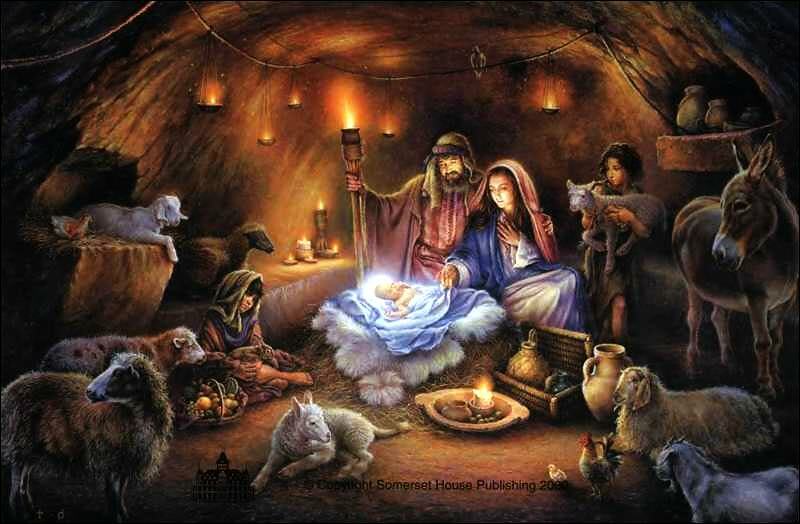 God’s perfect gift of love was the first and most perfect gift of Christmas. child had another life before He came here. He was conscious of it when He left it, and He was conscious of His meager surroundings when He arrived. This was a child that came from the highest throne imaginable. This child chose to lower Himself to the deepest depths of depravity simply out of love (Philippians 2:7-8). We should put this into perspective for Christmas. Jesus spoke of pure personal experience. Jesus had already laid down His life in heaven to come to earth when He spoke these words. The life in John 15:13 is a word that means great desire, inner spiritual or emotional driving force; it indicates with respect to life, the very spiritual being that is inside each and every one of us. It is not just physical life, for we all desire to continue living. It is the greatest and deepest spiritual desires that man experiences in life. This coupled with the word that we see translated “lay down” can be translated “to bring about” or “to bring upon.” Therefore, the Son of God forsook the heavenly place, His abode for eternity past, and brought upon Himself life in the flesh purely out of His love for this world. He loves us so much He gave up all of the perfect sinlessness in Heaven just to be with us, live a life with us, heal us, serve us and die for us. That is a loving gift. God also made great promises in this gift. The hope that we feel and see exhibited on any given Christmas day is a hope that everyone knows exists. It is a hope that people all over the world actually have heard tell of – a great promise. It is a hope that is born purely out of the love discussed above. It is a hope given freely by a person but it is only truly provided through faith. Though everyone knows of this hope, and everyone actually hopes for this very thing, few actually receive the actuation of this hope. The hope we are discussing is eternal life. God’s gift was given out of love for a purpose. The purpose of the gift is to provide a vehicle for a great promise. The promise is eternal life. “the season of perpetual hope,” as it has been called is rightly named. Yet, ironically man routinely denies, or flippantly discusses where this hope came from and the purpose it serves. For man, there is hope that we will see things better if we get something that pleases us under the Christmas tree. We also hope that we give something to someone that they enjoy. The hope then is that we have a better temporal outlook. The hope for most men is truly just something that happens here each year and it has to do with some reciprocal materialistic giving. The true hope though is otherworldly in origin and purpose. Man seeks this eternal hope, the hope of a wonderful eternal life, and knows it is possible. Every one who celebrates Christmas and sees the great love of God in Christmas knows there is something eternally special about the spiritual condition of our world at this time of year. Something special had to happen to make this hope permeate throughout all of mankind on the planet. It is not just an American holiday. Christmas is celebrated in most major countries around the world. Those who do not celebrate are noticeably humanistic in their overall operation such as China, North Korea, Iran, Turkey and Japan. The child, Jesus of Nazareth, brought this peace and good will with Him in the perfect love that permeated His whole being. 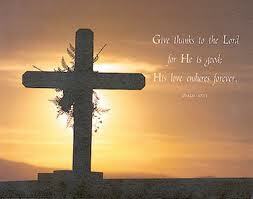 This is the love of God, the perfect peace, good will toward all men and the hope of eternal life. This is a subject frequently discussed in scripture. It is also, along with love, the most difficult for man to activate in life. We are not naturally humble or loving. Love and humility should feed one another just as pride and selfishness do. God commands us to love one another 19 times. Though love is mentioned over 310 times, that God sees the need to command us to love one another 19 of those times should tell us He has a lot of work to do. The idea of humility is mentioned over 30 times directly. Once again, the fact that God has to tell us what it is and that we must humble ourselves must be significant to us. God serving man. Humbling Himself to the lowliest of tasks to save the most arrogant of his creation. Humility is portrayed in various ways. The greatest form of humility is displayed in our Lord Jesus as He came from His perfect Heaven to this sin ridden earth in order to save you from sin. If we can consider even the simplest things that this truth involves we can begin to grasp the depth of God’s love for us and how He demonstrated that love in just coming here, let alone dying for us on the cross. Heaven is so rich that gold is only worthy of being pavement in the streets. Christ gave up treasures and a throne we can not imagine to come here. Heaven is so full of contentment that no one is ever unhappy. Even those poor in spirit, the angels that look longingly down upon us from heaven, are happy in all they are, in all they do, in their whole existence. They have not one regret for they have not one sin. Heaven is so beautiful and full of light that no darkness exists, nothing detracts from its beauty. There is no death in Heaven. All plants, all animals, all living things remain eternally and exist eternally. There is no dead fall in the forest. You will never see road kill. There is never destruction. Nothing wears out. Heaven is so perfect, there is never a pot hole in the streets. You do not need a car. There is no pollution. You will never step into a hole and twist your ankle or break a bone. No one is ever hurt. No need for hospitals. No sickness exists. Heaven is without defilement, it is holy, separated, sanctified. There is no smell of sewage from a local plant. No paper mills or other industry fills the air with stench. Sheep herds have no odor! I was blessed today to take the trash to the landfill. All of you who have been to a landfill will understand when I say, in heaven there is no landfill! There is no anger, not wronging, no reason for emotional uproar, no pride, no one wrongs anyone else. No one demands their rights because everyone always loves one another perfectly, selflessly and without ulterior motive. Trust is unreserved. No one is afraid to love one another unconditionally. Worship is pure, perfect, untainted by sin or worldly influence. There is only one church and it is perfect, (just like Grace Bible!). Everyone is welcome and everyone wants to be there. Humility recognizes Jesus came from this place to where none of the bad things in our lives on earth exist (John 3:28-30). Humility recognizes Jesus CHOSE His path to come to earth. Humility produces a contrite heart as it sees the need for Jesus’ sacrifice. If you are not broken for sin as Christ was, or humble like Him, you have work to do. When man reaches toward God it becomes religion. When God reaches toward man it becomes salvation. Man has attempted to reach out to God from the beginning. First, man thought he could be like God (Genesis 3:5). We thought this would bring us closer to being God, to experience and have knowledge of both good and evil. This sin resulted in ejection from paradise on earth, separation from God. Then, as angels chose to leave heaven, man thought that joining with them may get him closer to God. Again, with man it was a physical and intellectual experience (Genesis 6:2). Mankind mated with angels and created a growing rebellion on earth that resulted in a need to cleanse the earth through a massive worldwide flood. Throughout the history of the world, man reaches out to get closer, be more like, or better understand God. The tower of Bable, worshiping through devotion to religious systems (Catholicism, Islam, Mormonism, etc. ), moralistic religion (Shintoism, Buddhism, Confucianism, etc.) and others exemplify these truths. Man has a very hard time realizing and admitting then existing in the reality that the only real way this association can develop is by God reaching out to us. We cannot engineer it. Man cannot ascend to God. God must lower Himself to man’s plane. That does not mean God has to be coincident with sin, but He certainly braves the waters with us (Hebrews 4:15). Man can never achieve deity, only God can come down to be and associate with man. Man is seldom humble enough to recognize he is incapable of being God, even knowing God. God is omnipotent. He knew He had to humble himself to save man. God is perfectly loving. Through His perfect love, God arranged to perfectly humble himself and perfectly atone for the sins of mankind. God manifested himself in the flesh to develop intimate and holy relationships with mankind. He showed himself to us so we could know Him on our level. We have to understand God as God, but we can only comprehend God as man. We are limited in our understanding, He is limitless. Secretly we recognize the transcendence of God. In recognizing this, man understands the one thing that disgusts him more than any other truth. Man is mortal, finite, incomplete. He is subordinate to a more superior being. Man is not self-determinant. God became man; man cannot become God. God made man; man did not make God. He reached out to us through His love even while we were sinners (Romans 5:8). We rejected Him (Isaiah 53:3). God loved us from the beginning of His creation (2 John 1:6). He revealed His love. He came to be with us out of love. 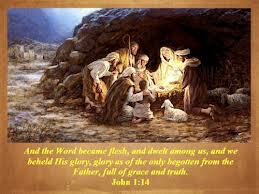 Now, because God became flesh, we can be spirit with God (John 4:23-24). Thankful that God chose me (Ephesians 1:4). Today we give thanks because our God is good; He is the sovereign all powerful God of the universe; He is the Lord of lords, King of all kings. God’s mercy is great in His creation, in His redemption, the Son’s salvation, the destruction of our enemies and for our future glory. God is merciful. Ephesians 2:4 tells us God is rich in mercy, His mercy derives from the great love He has for us. I have talked to many who believe they are beyond hope in their sins. The truth is that God’s mercy and love covers not just a multitude of sins, but the sins of all of mankind. This mercy and love is perfectly displayed on the cross at Calvary where the Son of God became sin for us (2 Corinthians 5:21). The Father made His own Son sin so that we could be the righteousness of God. As we cannot fathom the vastness in “God is love,” “God is good,” or “God is mercy,” we cannot comprehend the totality of the Son being made sin for us. He was not made just to represent sins for us. 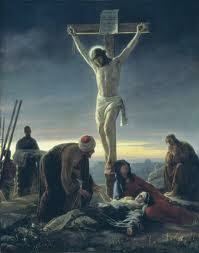 He was not forced to accept our sins to atone for them. The son was made sin. He became sin as much as He was good, love, great and mighty. The Son became sin wholly to give himself wholly for us. God’s mercy is so great, there is no sin that the shed blood of Jesus on the cross is unable to wash away and make as white as snow (Isaiah 1:18). God is gracious and merciful and will not forsake those who will not forsake Him (2 Chronicles 30:9). We should thank God for His infinite mercy and grace that exceeds all sin (Romans 5:20). Our great God of Heaven has earned our appreciation for His mercy, His grace, His Son, His salvation and His redemption. All of these things are provided through His love for us. He deals with us on our plane according to His mercy. Thank you O’ God of mercy for your grace filled salvation of my soul! Man understood every imperfect sacrifice, man never understood the perfect sacrifice. Sacrifice is a word that many speak with reference to one giving all for the many. Sacrifice is also something we consider contemptuous when it is person or we cannot see it as efficacious. We have difficulty considering sacrificing income for the sake of anything. In fact, we see increased income as the answer and could hardly contemplate loosing or forfeiting salary as a positive sacrifice. Sacrifice is not always given for the many and it is not always resources. Sacrifice is frequently attitude or desire. Many times we have to sacrifice fear and service. One of the hardest things to do is give up control. We fear that which we cannot master. If we have it in hand, we seem to feel as though it is ours; we possess it. What we have to face is that we own nothing. Nothing is completely ours, only given us for stewardship. Even our children do not belong to us, they belong to God and are entrusted to us. We balk at the thought that we must release our children into the very hand of God. We see only the things of the world for our children, but there are greater more glorious things to hope in for the believer. Colossians 1:17 tells us that God is always thinking about us. It is more than that too. Because God always thinks about us, we live, our heart beats and we draw breath in our lungs. If God’s simply thinking about us maintains our life, shouldn’t we think about him all the more? God gives us the faith that we need (Ephesians 2:8), and grows out faith through the preaching of the word (Romans 10:17). God thinks about us and we live. we think about God and enjoy life. God loves us and we love others. God’s grace gives us faith to believe in Him. The more we think about God, hear about God and relate to God, the longer and more rewarding our life is.